All tenants who rent flats or houses, and have paid a rental deposit, are protected under the Government Tenancy Deposit scheme. This means that your landlord is legally required to register the rental deposit you pay them with one of three Government tenancy deposit schemes. 1. Send you a certificate confirming that the deposit was registered correctly. 2. Provide important information explaining what happens to your deposit and how the specific deposit scheme they have chosen works. You can check to see if your landlord adhered to the correct procedures involved in protecting your deposit by answering a few questions below. Before we ask you for any personal details, please answer the following questions. 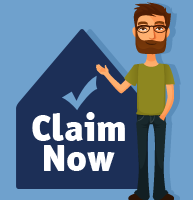 These are designed to check that you have a good chance of being able to make a claim. We don't want to waste your time unless we're confident of success. Was your rental less than 6 years ago? Do you still have a copy of your lease somewhere or are you able to retrieve this document from your landlord?